Leave all your worries behind and discover how to enjoy a fun and relaxing vacation in our log cabin rentals in Pigeon Forge TN. From enjoying scenic views to cooking a family meal, we promise you will have no trouble enjoying a stress-free trip when you follow our simple tips! The first step to enjoying a relaxing vacation inside our log cabin rentals in Pigeon Forge is to allow yourself to spend some time on your rental’s private back patio enjoying the breathtaking mountain views surrounding you as you sit in a peaceful rocking chair. When you are here, it is as if all your worries fade away like smoke on the mountains. There are no work deadlines no school projects. It’s just you, the mountains, and the peace and tranquility of the area. We cannot think of a better way to kick off your vacation in Pigeon Forge. 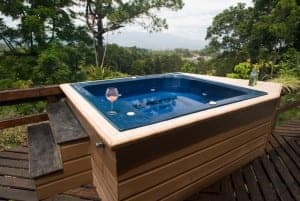 While you are enjoying the scenic views found outside our log cabin rentals in Pigeon Forge TN, why not make the experience even better by taking them in as you relax in your cabin’s peaceful outdoor hot tub? Here, you get the same great scenic views as you did with the rocking chairs, but now you get to add in the relaxing benefits associated with spending time in a jetted tub. Hot tubs are known to help reduce muscle tension, ease anxiety, and relieve stress, all of which are things that will allow you to enjoy an even more relaxing vacation than you were before. One of the biggest causes of stress we face in our daily lives is not getting enough sleep. This is why we recommend you and your family or group allow yourself to relax during your vacation by choosing to sleep-in when you stay in one of our log cabin rentals in Pigeon Forge TN. That’s right! Turn off your alarm clock, put your phone on silence, leave your computer in the bag, and enjoy as much rest and relaxation as you can stand. You deserve it! Do you and your loved ones have a collection of family movies you love to watch or a Blockbuster hit you cannot get enough of? If so, you all will love relaxing in our log cabin rentals in Pigeon Forge TN with a home theater system because they offer you the perfect place to enjoy your favorite flick inside the comfort of your cabin. Here, you don’t have to worry about missing the movie’s start time, sitting through lengthy previews, paying expensive concession stand prices, or any other headaches that come with going to a movie theater. Instead, you get to enjoy all the perks of going to the movies without any of the inconveniences. This is particularly perfect way for you and your loved ones to spend time on a rainy day inside your Pigeon Forge cabin rental. Last, but not least, we would like to finish out our list of our favorite ways to relax in our log cabin rentals in Pigeon Forge TN is to try out a new recipe in your vacation home’s fully-equipped kitchen. Here, you will have everything you need to prepare a delicious meal or a sweet treat for your friends and family without ever having to leave your rental. Not only will this experience save you a little money from saving you from having to eat out, you will also have a unique way to spend time with your loved ones creating memories during your vacation. Ready to start planning your next relaxing vacation? 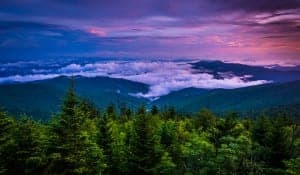 Start by browsing through all the unbeatable log cabin rentals in Pigeon Forge TN found in our inventory. Ranging in size from intimate 1 bedrooms all the way to large 5+ bedroom cabins, we promise we have just what you and your family need for a stress-free mountain getaway.